In this video, Luke Rudkowski talks once again with Josh Sigurdson of World Alternative Media about the most recent crypto news. 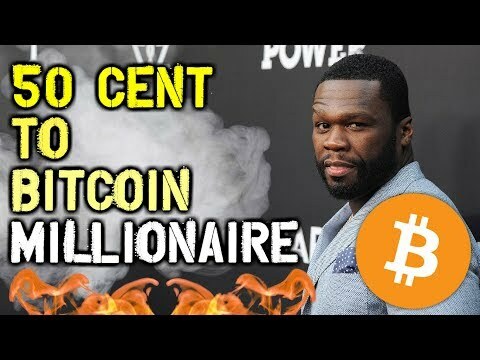 50 Cent recently discovered he’s a Bitcoin millionaire. Katy Perry shared an image of her crypto-style nails! But that’s not the biggest news. Japanese crypto exchange CoinCheck just entered the history books as 532 million dollars worth of NEM were hacked from the site. 123 million dollars worth of Ripple also disappeared. This has now become the biggest theft in the history of the world. Another reason why you shouldn’t keep all your money in a crypto exchange! Some kids in Ontario, Canada, also attempted to rob a crypto firm in person, only for their plot to be foiled by police. And corporate giant Riot Blockchain just bought 500 Bitcoin at a U.S. Marshall’s auction. What does this mean? Let us know below what the name of this show should be!